When Canadian Kyle Jones made the Olympic Team in 2012 for the London Games, it was a dream come true for the Ontario native. Completing the selection process, becoming a member of Team Canada and being able to represent his country at the premier event for sports competitions, Jones crossed off a lifelong bucket list item. 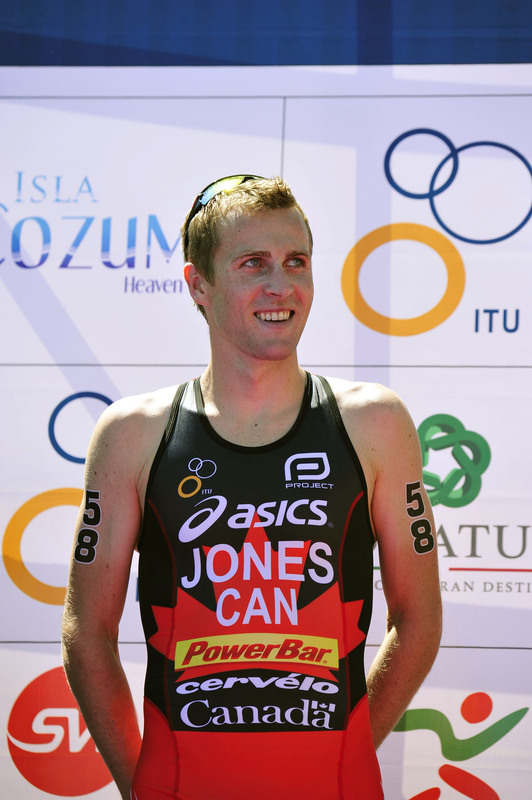 However, placing 25th in the men’s race, Jones left London wishing that he had finished stronger. 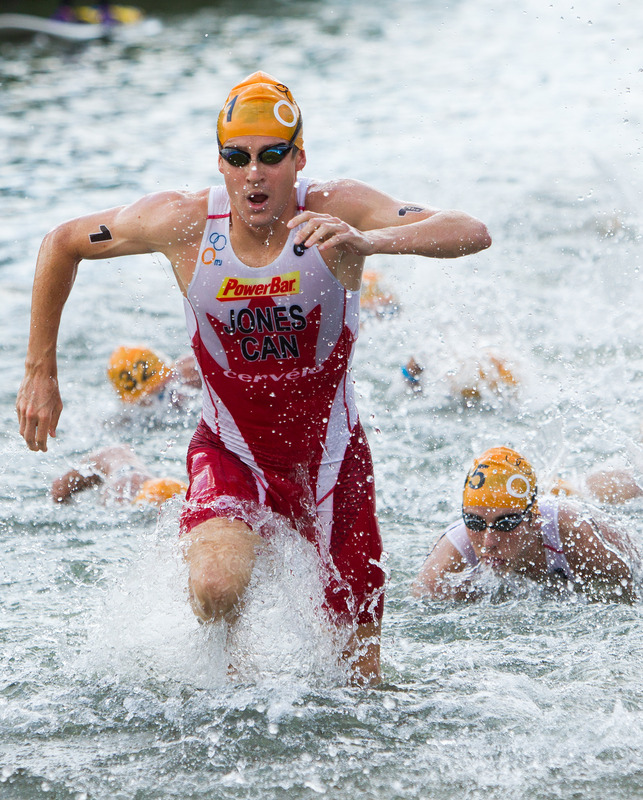 Jones first started competing in the ITU circuit in 2002, racing as a junior. He then joined the Canadian National team in 2006 and moved to British Columbia to train at the National Training Centre. In 2005 he competed in his first ITU World Cup in Honolulu and began improving his name as an elite competitor. Three years later, he missed out on the chance to become an Olympian when he was chosen as the alternate for the Canadian Olympic Team for the 2008 Beijing Olympic Games, the Games that saw his compatriot and training partner Simon Whitfield sin silver medal. In 2012, Jones captured his first World Cup win in Edmonton, which was only made sweeter by the fact he won it on home soil. His initial victory also came at the most opportune time as it was the race that secured his spot at his first Olympic Games. Fast forward to four years later and Jones is working towards recreating that dream, but this time with experience and knowledge on his side. While an injury challenged Jones’ quest to qualify for a second Olympics last year, he still ended 2015 on a high note. The Canadian earned back-to-back podiums, finishing second at the Cozumel World Cup and third at the Alanya World Cup. His momentum then successfully carried over into the new year, as he secured his first-ever top 10 WTS finish in Abu Dhabi recently. “My main motivation this year is to get back to the Olympics and deliver a performance I’m proud of. After being sidelined for much of 2015 it was important for me to race well at the end of the season to set me up for this year. Alongside some other noteworthy ITU elites, such as Spain’s Mario Mola and South Africa’s Richard Murray, Jones has been training with a squad coached by Joel Filiol, a decision that seems to only be benefiting him. Finishing in the top ten in Abu Dhabi was a phenomenal start to the season, but if Jones wants to see Rio this summer, he has to place in the top eight of a WTS race. So while he just barely missed his chance in the season opener, he will have another go in the Gold Coast. The next few months will be crucial for Jones if he wants to make it to Rio, but this Olympic cycle he has more expansive goals than just booking a ticket to Brazil. But another advantage and inspiration for Jones to want to make the Olympic roster for the second time? He will have another fan cheering him on. He and his wife Kelly welcomed their first son Zack in 2014, so as a new Dad, the dream is no longer just for him.